MOSCOW, April 7. /TASS/. 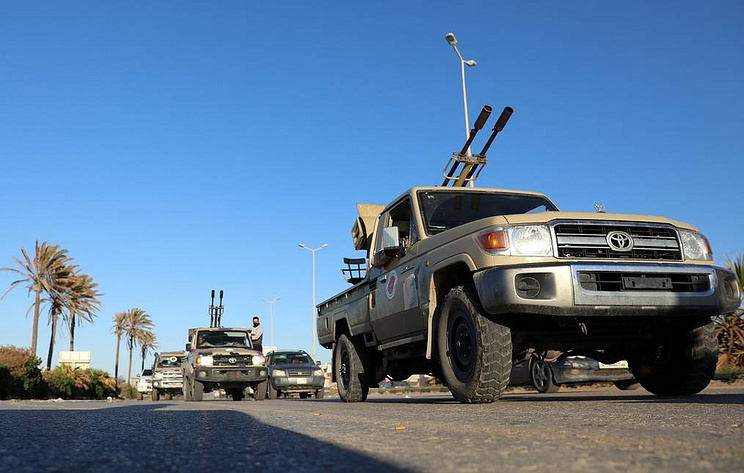 The troops loyal to Libya’s Government of National Accord have announced the start of the military campaign against the Libyan National Army under the command of Khalifa Haftar, Spokesman for the Libyan Army of the Presidential Council’s government Mohammed Gununu said on Sunday. On April 4, Haftar announced the launch of an offensive on Tripoli. Meanwhile, Fayez al-Sarraj ordered all military units subordinate to him to be on alert and to use force if necessary “to defend the civilian population and critical facilities.”. Hey Buddy!, I found this information for you: "Libyan pro-government forces announce counterattack against Haftar". Here is the website link: https://russophile.org/libyan-pro-government-forces-announce-counterattack-against-haftar/. Thank you.